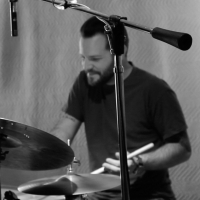 Tune in to the Musician’s Show this Wednesday, November 8 from 6-9 PM ET for a live interview with New York-based drummer and composer Jon Di Fiore. Major projects include two albums of his own compositions: Yellow Petals (2014, Third Freedom Music) featuring the Jon Di Fiore Trio, and Patience (2012) for mixed ensemble featuring saxophonist Rich Perry and trumpeter Joe Magnarelli. The Jon Di Fiore Trio is completed by Adrian Moring, bass, and Billy Test, piano. His music is a fresh yet insightful take on the jazz tradition, influenced by jazz, classical, and world music. Both of his albums have received critical acclaim from major publications, and can be heard on radio stations across the United States, Europe and Japan. Jon received his B.M. from New Jersey City University and his M.M. from William Paterson University. Di Fiore's unique style intertwines his range of influences with the sensitivity and expression of a truly refined collaborator. In addition to his own groups, Jon Di Fiore performs and records with some of the most sought-after musicians in NYC, including Steve LaSpina, Joel Frahm, Rich Perry, Billy Drewes, Randy Brecker, Matthew Fries, Steve Davis, Scott Robinson, Paul Meyers, Joe Magnarelli and Jim Ridl.